Low Carb Instant Pot Beef Stew. So the problem with traditional beef stews or slow cooker beef stews is they take forever to make. 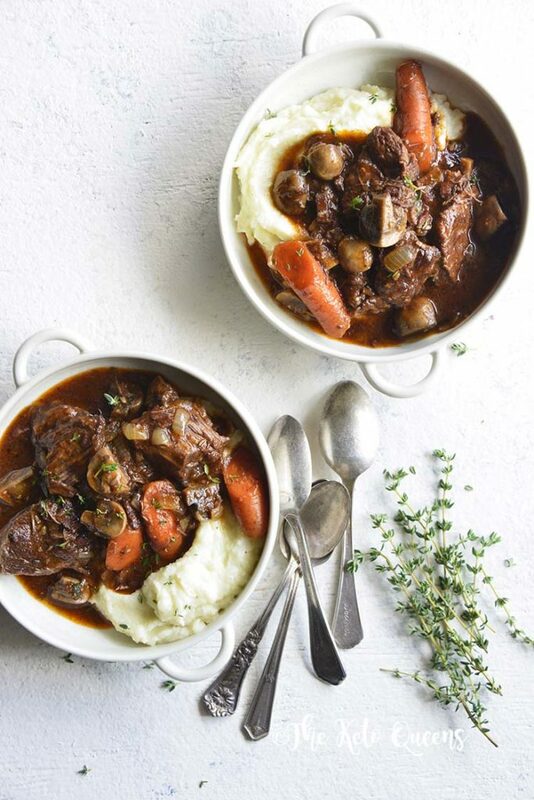 Forget about waiting 2–8 hours for your beef stew! This pressure cooker beef stew recipe only takes a fraction of your day to prepare. We’re talking just 25 minutes of prep time and 45 minutes of cook time and you’ll have a delicious home cooked low carb dinner. Beef stew is just one of those things that can be made a hundred different ways. 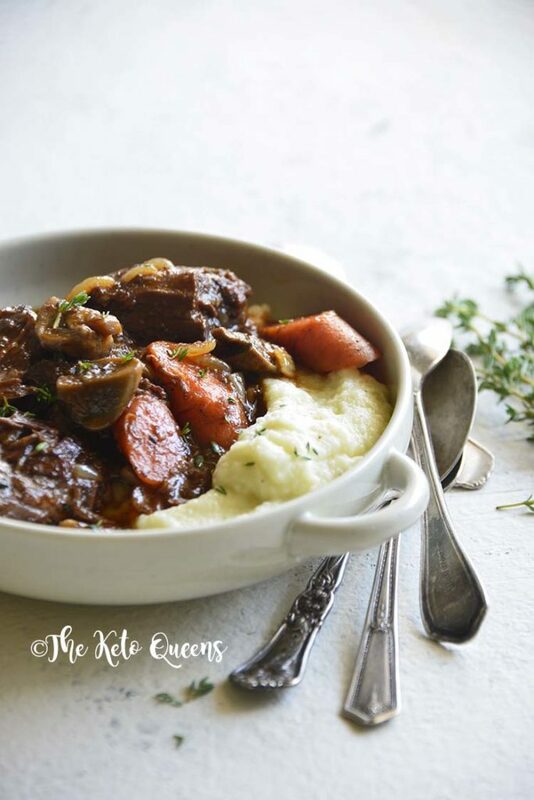 You can make it in a skillet or crock pot, but our favorite way to make the best beef stew recipe is in your Instant Pot! Turn pressure cooker on, press “Sauté”, and wait 2 minutes for the pot to heat up. Add ghee and beef and cook until seared, flipping once halfway through. Then transfer the beef to a bowl. Next, add ghee, onion, carrot, parsnip, and mushrooms. Cook about 2 minutes, stirring frequently. Then, add garlic and cook 30 seconds more, stirring constantly. Stir in red wine and cook 1 minute. Press “Cancel” to stop sautéing. Next, add the beef back to the pot along with water, tomato paste, beef gelatin, Italian herb seasoning, salt, and black pepper. Turn the pot on Manual, High Pressure for 35 minutes and then let the pressure naturally release for 10 minutes before doing a quick release. What kind of beef is used for beef stew? Stewing is a moist-heat method, so it is bed to use tough cuts of meat when making beef stew. The most common beef stew meat is chuck or round cuts. These become more tender and flavorful when they are cooked in the Instant Pot or pressure cooker. If you wanna make this a paleo beef stew, simply omit the wine and gelatin if you are super strict. In our instant pot beef stew recipe, there are about 380 calories per serving. To thicken a traditional beef stew, you might add flour or cornstarch to the recipe. Since we want this to be a low carb beef stew, we will not be adding either of those ingredients. For our instant pot beef stew, we kept a nice thick consistency by adding grass-fed beef gelatin. If you it’s an even thicker beef stew you desire, you can add xanthan gum or a bit of tapioca starch! and a little thyme as a garnish! Some other common herbs and spices used in beef stew include parsley, basil, oregano, rosemary, and paprika. Most of these are already combined in the Italian herb mix that we used. Do you put tomatoes in beef stew? It really depends on what you like. We incorporated tomato paste into our beef stew recipe, but some may add tomato chunks as well. 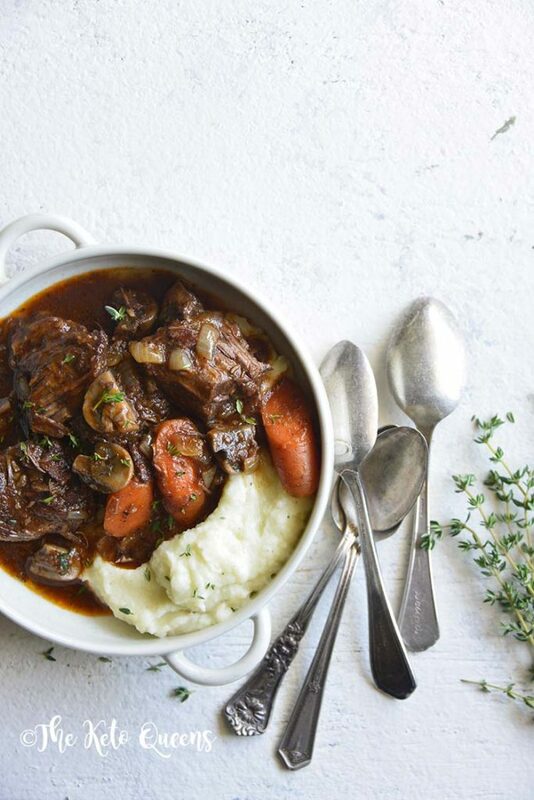 It’s up to you to decide what kind of textures and flavors you prefer for your beef stew. Also depends on how many carbs you want your beef stew to contain. Can you overcook beef stew? Yes, you can overcook beef stew. We know you want to put it in the crock pot and leave it all day long, but be careful! If you cook your stew too long, your dinner may be dried beef and soggy vegetables. Making beef stew in the instant pot is a great way to avoid overcooking. If you follow our recipe directions, you’re sure to have flavorful, moist cuts of beef in your beef stew. Try these other low carb recipes for soups and stews! 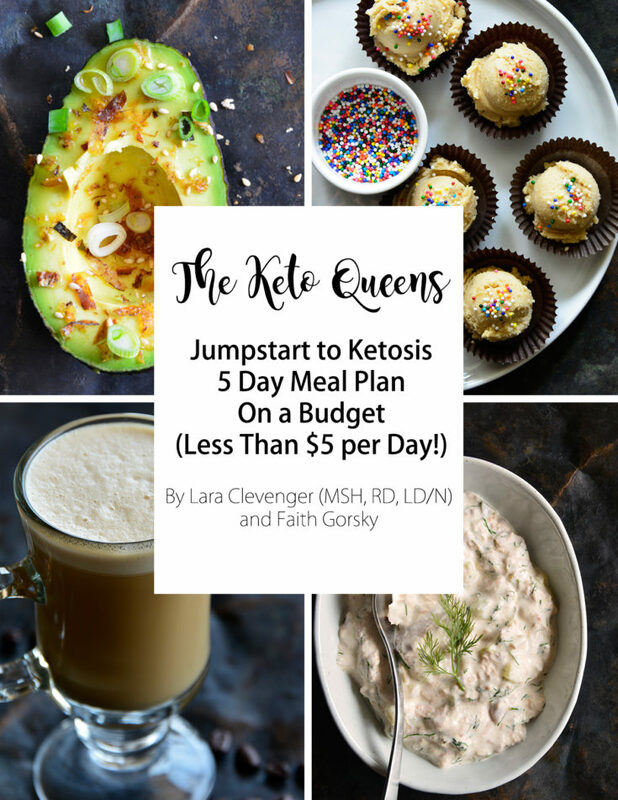 Other Keto Instant Pot Recipes You Need to try! This is a great recipe. I took out the carrots and added zucchini. Also I used some chia seeds that I made into powder to thicken the stew. I will definitely be making this beef stew!!! I would make a nice juicy pork tenderloin in it and definitely this beef stew! Pulled pork. It’s my favorite, but hate waiting hours. Thank you for providing such great recipes! Beef stew is one of my go to meal. I love to cook chicken breasts in the instant pot. All kinds of chicken dishes! My favorite is chicken with potatoes and carrots. Slice the carrots, mash the potatoes, full meal in one pot! I think I would try your beef stew recipe (minus the garlic). 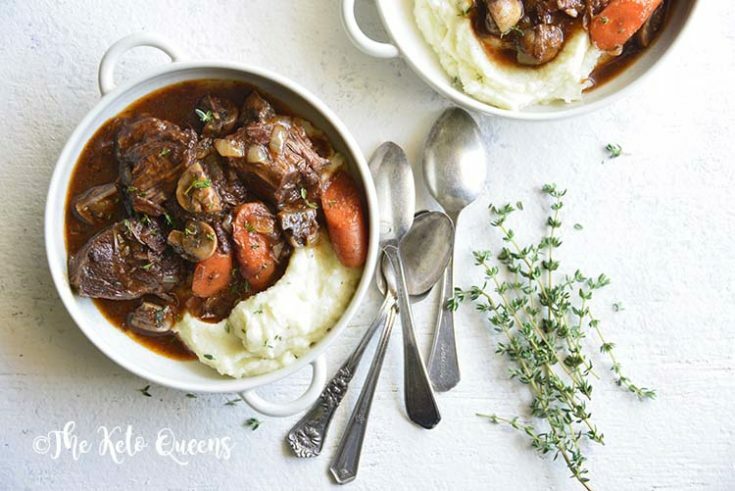 I would totally make this Instant Pot Beef Stew. It looks delicious! 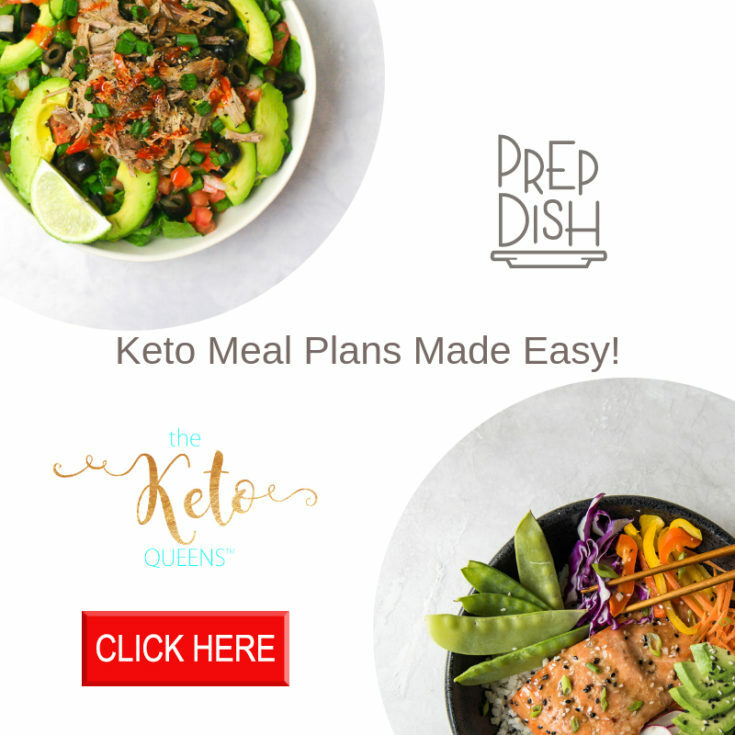 I am very new to Keto but very excited to try this recipe. Can’t wait to try the recipe. We are a pot roast loving family. 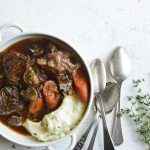 I have been on the search for a low carb beef stew! I don’t have an instant pot but have been thinking about investing do a while! Would love to win the instant pot giveaway and try so many instant recipes I have been saving! Soups, different meat recipes, so many options and ideas! Parsnips are a no no on keto and minimal carrots are allowed. There really aren’t any foods that are “not keto” you can make any food fit into your macros but the quantity that you can consume might be limited. However we would ideally fill up our carbs with high nutrient dense ones such as non-starchy vegetables instead of for example sugary treats, flours, and highly process baked goods. The amount of carbs vary person to person and one person may be able to consume more carbs than others and stay in ketosis due metabolism, exercise or energy expenditure. This recipe has 7g net carbs per serving and can easily fit into a daily intake depending on what you are having at your other meals. Many people can consume upwards to 50g net carbs and still stay in ketosis whereas others may need to limit to 20g net carbs. I would make stew or a bean dish. I would make the beef stew. Looks like a recipe I need to try! I have been seeing a ton of awesome recipes using an instant pot but I think I would start with chicken and dumplings. I would love to make more Keto recipes, mainly proteins. Thanks for the opportunity to win one! I would make beef stew or beans. I would love to cook this soup and other healthy soups in my instant pot! I like Robbie’s idea of using powdered chia seed to thicken the stew. I might try a wee bit of powdered psyllium husk (maybe a Tbs) after trying the powdered chia seed trick, for comparison. I would cook a chili. I want to have my husband try this recipe. We love beef stew, etc. and this one sounds yummy. The first thing I would try is chicken soup. Everybody here enjoys it. I would cook this beef stew. It is one of my favorite meals. I would probably make the beef stew in the instant pot! Sounds dee-lish! I would make bone broth in my instant pot and use that as the base for the stew!!! Omg I LOVE beef stew!!! I’d love to make a keto chili in the instant pot!!! Doesn’t that sound DELISH???? I would love to make mac and cheese using an instant pot! This recipe looks amazing. I’d love to make a roast in the instant pot! Great recipe—can’t wait to try it! I would make Instant Pot Corned Beef. I’d like to make this beef stew. I would cook a roast with gravy and little red potatoes. Thanks for the contest. I would love to win! I would make some pulled pork. I think the first thing I would make is chili! I would make lots stews and soups! I would make buffalo chicken dip first. OMG That stew looks so good and mouth watering! Want to make ASAP. Corned beef and cabbage with potatoes and onions. YUM! I would make beef stew. That’s my favorite! The first thing I’d make is black refried beans! I’d like to make a chicken stew and also chili. I would make pot roast or chili in the instant pot. I would love to cook some beef stew, cheese cake and chicken and Dumplings in it! This look great! I would make chili first! I would start with lasagna!!! I would make potato and corn chowder as well as split pea soup. Pulled pork would certainly one of the first things cooked in our instant pot. Going to cook up some porcupine balls, just like when I was a kid! I would either make a roast or a stew. Honestly, my first meal would be Beef Stew! It sounds wonderful! I love your idea of using grass-fed beef gelatin to thicken the stew. 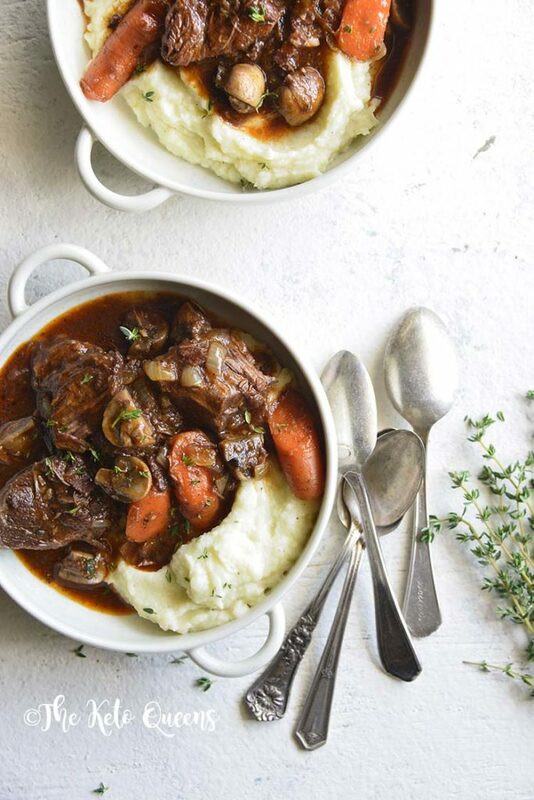 Your beef stew – it looks amazing. I’ve been wanting to make some pho lately. I’d love to try it in a pressure cooker. I made beef stew tonight, but completely forgot to add the tomato paste! Hmm, I’d probably make keto chowder (with daikon radish instead of potatoes) or some sort of curry. I love, love the idea of being able to make food so quickly! I would love to try a good pulled pork recipe in this. If I won the instant pot I would make shredded bbq chicken! Thanks for the giveaway! I might make a pot roast first using it. I would make rosemary and garlic chicken. Yum! I would make a Thai soup! This looks like an awesome recipe to try, and I’d also consider corned beef and cabbage. Anything I can get my hands on in my kitchen, I’m sticking in that pot! The first thing I’d make would be a hearty lamb stew. Beef Stew, Chili and other cold weather favorites!! My homemade vegetable soup would be first. I would make a French Onion Soup with lots of cheese and toast rounds. I would make chicken noodle soup , love that pot. I would cook pot roast! Just starting to explore the Keto lifestyle. That pot roast looks amazing! My favorite thing is Beef Stew. So, I’d probably be making this recipe with it, as I wouldn’t know how to make one in the instant pot! I want to try making ribs in the Instant pot. One of my friends said it was easy and delicious! I am ready for some beef stew. I would try to make a beef stew. Thank you for the chance and I love your recipe. I would cook up a lot. Recently got in to meal prepping. The first meal I would make is pot roast, potatoes and carrots. I think I might like to try beef stroganoff! shredded bbq or Irish Stew – YUM! I love to make beef stew. It would be amazing to have soft, tender beef in just a few minutes!! Beef stew sounds like a great start. I’d start with that Beef Stew recipe you just gave me. I would be adding oyster mushrooms to all of my dishes. Sush rich flavors. I guess I would make a pot roast and that would be great to me. Lo Carb dish I am sure my whole fam will LOVE!! Thanks KetoQueens!! Just started my Keto Diet again after years… So Chicken with creamy mushroom sauce would be my first! This looks so amazing and I love the instant pot quickness with 3 kids and a hungry husband! Time is slim to non some days so having a delicious quick and healthy meal plan approved meal sounds right up my alley! i would use it to make chicken fajitas. I’d like to try your recipe for the beef stew. I never thought to use dried Italian herb mix before. If I won I would cook low carb chicken and cauliflower rice! If I had it right now, I’d cook corned beef and cabbage on Saturday. Since I’ll have to wait to win it, my first meal would be beef stew. I’d love the chicken curry. If I won, I’d make a pot roast! Then I would make bbq chicken wings! I would love to try the beef stew. It looks so good. I would love to make an Instant Pot Shrimp Boil. Beef stew is a total fave! I Comfort food at its finest! I would make a big pot of ham and beans! I would also love to try the beef stew in it!! The possibilities are endless!! I would make a chicken and vegetable barley soup! Wow, I have been on the low carb diet for many years due to my Type 1 diabetes. I have to say your beef stew looks so amazing. I also have been on the fence about buying the insta pot as it is expensive. Thank you for the chance to win and the delicious recipe that I will have to try insta pot or not. I would make stew or chili!! I would cook potato soup. I would make my favorite Jambalaya recipe. It’s been a long time since I’ve had a good pork roast. I would make thai coconut beef. This stew looks amazing. I would love to make a pot roast in this bad boy too! I think I would make Pulled Chicken sandwiches with the Instapot. I would make chicken and rice if I won this item. A chili recipe. Thank you. We would cook a Guinness Beef Stew for St. Patrick’s Day ! I’d love to make some baby food because I have a little one on the way. I’d also love to use this so I can make soups faster while I’m tending to other things. I would make chili if I won. I would make your recipe for beef stew. It looks delicious! Thanks for having this contest! I would cook stuffed peppers in the Insta Pot if I won! I honestly don’t know what I’d cook if I won the Instant Pot…but you can bet I’d be researching all the nomalicious low carb recipes I could make with it! I would cook Irish Stew, and that’s no blarney! I would love to make beef stew! I would make my world famous beef stew.